Being appointed as an Executor for a loved one’s Will can be daunting. The responsibilities are time consuming and can cause stress – especially if this is your first time as an Executor. It is important to be aware you may be liable for any mistakes made when carrying out duties as an Executor, even if those mistakes were innocently made. 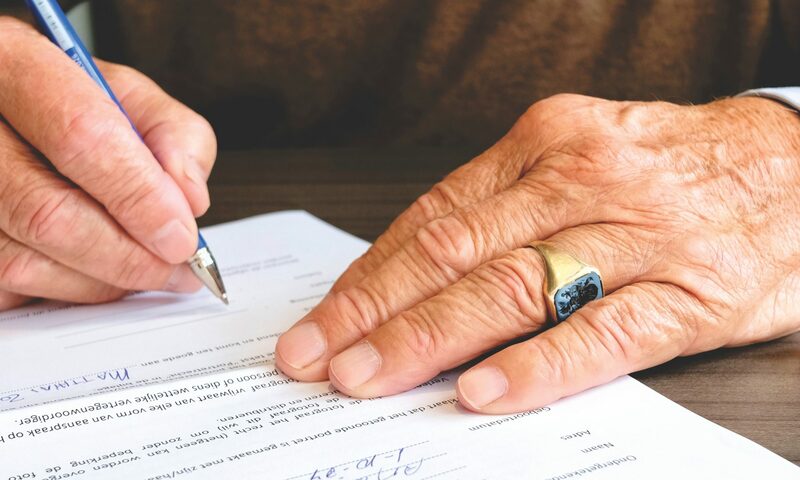 Fortunately, our experienced Solicitor, Rebecca May, is here to tell you the five things you need to know about being named as an Executor of a Will. What are the key things to think about if you have been asked to be an Executor of someone’s Will? Firstly, are you prepared to take on the responsibility of carrying out the deceased’s wishes under their Will? You need to ensure you carry out the wishes of the deceased as they would have wanted. Be aware that issues can arise if there are family disputes between members over assets, or if they feel excluded. What are the main responsibilities of an Executor? You need to ensure that all the assets of the deceased are cashed, any taxes or debts paid, and distribute the assets in accordance with the Will. Does the person making the Will need your permission to name you Executor? There is no formal requirement for the Executor to give consent – though it is sensible to ask permission before appointing them. Who can be an Executor and does being one mean you can’t be a beneficiary? Anyone is able to be an Executor providing they are over 18 years old and have adequate mental capacity to do so. It is not uncommon to appoint professional executors such as solicitors or financial advisers. Furthermore, it is a common misconception that you are unable to be a beneficiary and an Executor – however this is not the case. Can you change your mind about being an Executor? Yes, it is possible to change your mind. If at the time the person passes away, you do not want or are unable to be the Executor then it is possible to stand down. In this instance, either the appointed replacement or another appropriate person would stand in. For more advice about updating or creating your Will, contact our Wills & Probate Team today who will be happy to provide professional, friendly advice. With Spring underway, the days are getting longer, the weather is getting warmer and wedding season begins! Changes in society continue to affect people’s attitude towards marriage and particularly around prenuptial agreements. The average age at first marriage continues to rise into the mid 30s. With people marrying later, they bring assets they have accumulated or inherited into the marriage that they may want to protect. Discussing finances with a loved one can be a particularly sensitive issue and nobody plans for a marriage to end, but it is important to plan for any eventuality. To help figure out if a prenuptial agreement is for you, below are six things you need to know about prenuptial agreements. What is a prenuptial agreement and is it a legally valid document in England and Wales? A prenuptial agreement consists of a formal written agreement which is entered into between the partners to the relationship ahead of the marriage. It outlines what each party is entitled to should the marriage end, as well as any other related conditions. Why should couples consider getting a prenuptial agreement? Both parties should consider a pre-nuptial agreement for the simple reason that it provides peace of mind going into the marriage that all aspects of their finances, assets and property are protected. It isn’t a matter of trusting each other, but rather a matter of being responsible and planning for your own future, for any eventuality. 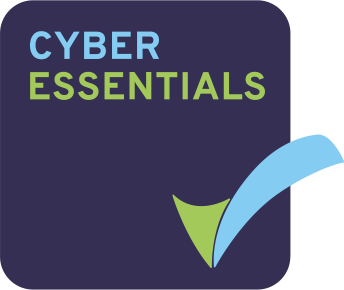 It can also protect one partner against the other’s debt, protect inherited assets or children’s inheritance, and ensure control over business assets. How can a solicitor help someone make a prenuptial agreement? A solicitor can ensure the prenuptial agreement is drafted properly. This makes it more likely the agreement will be upheld in a divorce. The agreement should be carried out at least 28 days ahead of the wedding to ensure that all matters are resolved by the ceremony. Allow as much time as possible to ensure all matters are thoroughly considered, negotiated and signed without any unnecessary pressure. What should someone do if they’re asked to sign a prenuptial agreement? Before signing, you should seek advice from a qualified solicitor. This doesn’t mean that you do not trust your partner, but it is important to protect your own interests as well as your collective interests. Ensure that the agreement takes your circumstances into consideration and is much for your own good as it is for your partner’s. It is best to assess this on a case by case basis as it is largely related to the value of the item to the individual, both from a financial and sentimental perspective. There aren’t specific rules for what should not be included, but rather just as much is discussed and agreed as possible, and nothing is left to chance. What happens during a divorce if the couple has a prenuptial agreement? In the event of a breakdown in the marriage, couples will divide ownership of their belongings based on the prenuptial agreement.Generally, assets are divided 50/50 among both parties in the event of a divorce that doesn’t involve a prenuptial agreement. However, that may feel unfair to you if you have inherited assets, you own a business, or if your partner has outstanding debt. 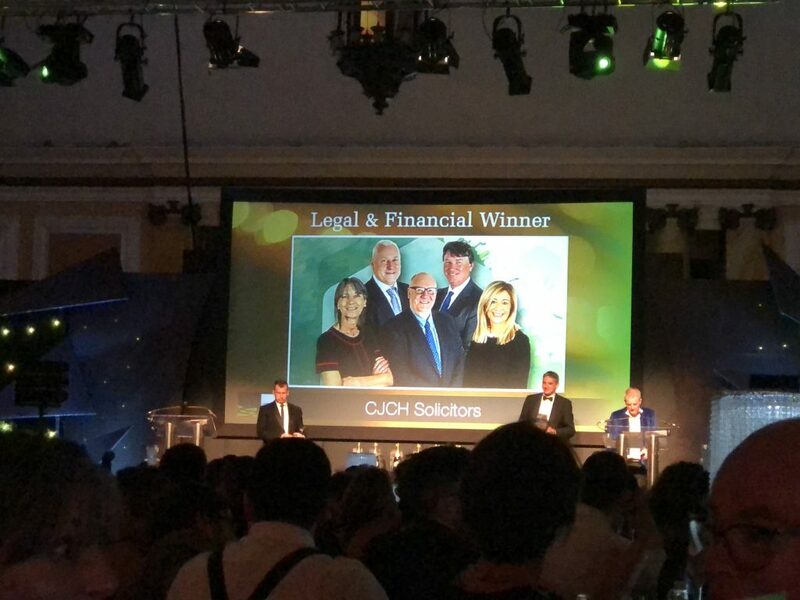 We are delighted to announce that, at the grand Cardiff Life Awards ceremony at Cardiff City Hall last night, CJCH took home the award for Legal and Financial business of the year for 2019. Our team is thrilled to have received this accolade and for the recognition of being a leading business serving our community. As always, we have our fantastic team to thank, who put in all the hard work and dedication to everything we do. 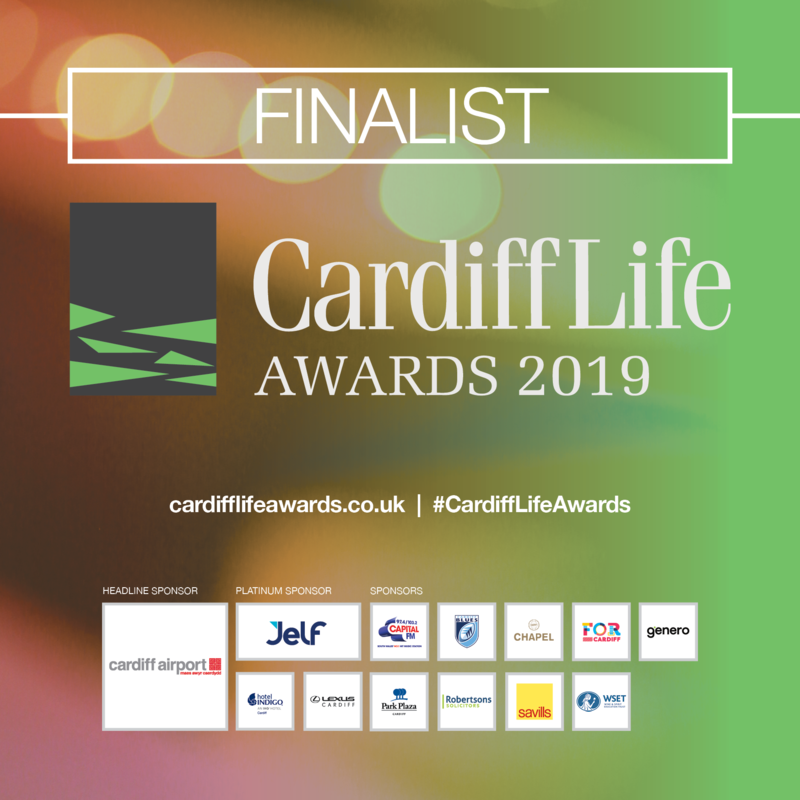 We would also like to thank Emma and the team at Cardiff Life Magazine, the Judges, and all the wonderful sponsors like Jelf, Cardiff Airport, and FOR Cardiff. As a first time buyer, the legal process of purchasing a property (known as conveyancing) can be a confusing and stressful time. At CJCH Solicitors, our dedicated team of solicitors are here to make the process as straight forward and stress-free as possible. We have created a brief guide to the steps of the conveyancing process and some of the terminology that is often used to give first-time buyers an initial understanding of the process. For further information or for a competitive quote for our legal services, please contact a member of our team. Congratulations! You have found your property and agreed on a purchase price with the seller. It is at this stage that the estate agents, seller or developer (in the case of new build properties) may ask for the details of the solicitor you have decided to instruct to act on your behalf. At CJCH Solicitors, we pride ourselves on providing prompt service. We ensure that once we have provided a quote and agreed our fixed fee with you, we send confirmation of our instruction to you as soon as possible. As this is likely to be the most important financial transaction of your life, it is vital to ensure you choose the right solicitor. A cheap service can often mean a poorer quality service! Our quote will include information on whether any stamp duty land tax (which applies to properties in England) or land transaction tax (which from April 2018 applies to properties in Wales) is likely to be payable. The rules can be complex, so a chat with one of our team is advised to ensure you know upfront what the costs are likely to be. At this stage, we also request the contract pack from the seller’s solicitor. If you require a mortgage to purchase the property and you have not already made arrangements, it is important to make an application for a mortgage to help fund the purchase and ensure you obtain your agreement in principle as soon as possible. For new build properties, a Help to Buy Equity Loan in addition to your mortgage could also be a possibility for you. It is best to seek financial advice before agreeing to any mortgage or loan, to ensure you choose the best option for you. Your lender will request the details of your solicitor. You should receive a copy of your mortgage offer and your solicitor will also be sent a copy by your lender. Your solicitor will normally also represent your lender during the process. It is always advisable that you commission a survey to ensure a detailed physical inspection of the property is carried out by a professional surveyor to highlight any potential issues. Although this is an extra cost to you, it can save you discovering any nasty surprises in the future! Please note that if you are purchasing with a mortgage, it will not be enough to rely on your lender’s valuation report as this is done to satisfy your lender that the property is sufficient security for their loan. Your solicitor will also order search reports. Searches are normally carried out with the local authority, water and drainage provider and an environmental search is usually done (some additional searches can be required depending on the property itself). Your solicitor raises any enquiries they feel necessary with the seller’s solicitor based on the information provided in the contract pack at the beginning of the process, the search reports received your survey report and any questions you may have for the seller from your physical inspection of the property. When the seller answers the enquiries satisfactorily, it is the time to agree a completion date with all parties involved. Before the day of completion, a process known as ‘exchange of contracts’ will take place. The time in between exchange of contracts and the day of completion does vary depending on the circumstances of both the seller and the purchaser (and whether there is a chain involved). Exchange of contracts is a process that takes place over the phone between the seller’s solicitor and purchaser’s solicitor. Exchange of contracts is the point whereby you become legally bound to purchase and is designed to provide security that completion goes ahead on the agreed date. It is at this stage that you forward your deposit, normally 10% of the purchase price. If you withdrew from the purchase after the exchange of contracts, the deposit is forfeited to the seller. The seller can also face penalties if they withdrew from the sale after the exchange of contracts. Although, parties withdrawing after the exchange of contracts is very rare. Before exchange of contracts can take place, you will normally meet with your solicitor to sign the necessary documents. You will also be given information on how to transfer the deposit funds to your solicitor, which your solicitor needs to receive before exchange of contracts. Your solicitor will also request your mortgage funds directly from your lender to ensure they arrive in time for the agreed completion date. On the day of completion, the seller vacates the property (if they have not already done so). Your solicitor will send the purchase funds to the seller’s solicitors and, on receipt of the funds, the seller’s solicitor will notify your solicitor that the keys can be collected. The keys are normally collected from the acting estate agents’ office and completion usually takes place around lunchtime, though it will depend on when the funds are received by the seller’s solicitor. Your solicitor will see to the filing of a stamp duty land tax return to HM Revenue and Customs (HMRC) or a land transaction tax return to the Welsh Revenue Authority (WRA) and the payment of any tax that is due on your behalf. Your solicitor will also register the property in your name with HM Land Registry. When registration is completed, your solicitor will send you an updated version of the title to the property, showing you as the registered owner. If you are purchasing a leasehold property, the lease will be registered in your name. This is often also an important time to consider whether you should make a Will to ensure your property, along with any other assets, would pass in accordance with your wishes. For more information on our Will drafting services and fees, please contact a member of our Private Client department. New build properties are properties that are to be, are in the process of, or have just been built by a developer. The conveyancing process is slightly different when you are purchasing a new build property. Please contact our team for further information. At CJCH Solicitors, we offer a fixed fee service for conveyancing with no hidden costs. This means that the quote for our legal fees will be for a fixed amount and will not increase, provided no unforeseen work is required (if it is, we agree any further costs with you beforehand). This will include information on the title to the property, the sale agreement, and forms completed by the seller providing details about the property and its fixtures and fittings, together with supporting documents. An agreement by your lender to lend a certain amount to you based on the information you have supplied at that stage. A formal application will need to follow to the lender before they formally grant you the loan. This is a government scheme which could help fund up to 20% of your new build home, leaving you with a 5% deposit to pay (rather than a 10% deposit which is normally required) and a 75% mortgage. There are different rules that apply to properties in England and properties in Wales (Help to Buy and Help to Buy Wales are separate organisations). Please contact us for further information. Search reports are carried out through an independent search provider. The searches can provide essential information on issues such as the property’s highways, connections to the sewage and water drainage systems, flood/contamination/subsidence risks and planning permission and building regulation documents relating to the property, to name just a few. The completion date is the date that you finalise the purchase and are able to collect the keys to the property. You will need to ensure you have a buildings insurance policy in place for the property for this date. This is where there are a number of linked sales and purchases that are all reliant on one another to complete. Naturally, the longer the chain, the longer the conveyancing process tends to take. For most purchases, there is a duty to inform HMRC or the WRA of the purchase via a return, even if no tax is payable. An organisation that registers ownership of property and land in England and Wales. This is where you have an agreement with a landlord called a lease that, amongst other things, will state how long you will have ownership of a property. The landlord is often the person/organisation that owns the freehold title to the property. At the end of the lease, ownership returns back to the landlord. If you own a freehold title to a property, you basically own the property outright. 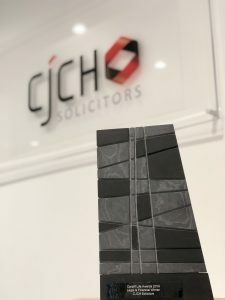 The team here at CJCH Solicitors were beaming recently when we learned of our firm being named a finalist in the Legal and Financial category of a leading local awards initiative. 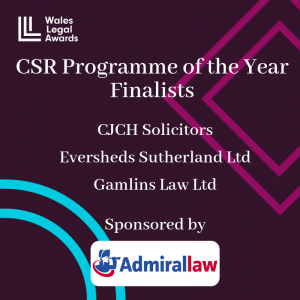 Our excitement has more than doubled when it was recently announced that our firm had also been listed as a finalist in the newly established Wales Legal Awards in the category of Corporate and Social Responsibility Programme of the year. Our CSR initiative is lead by our senior partner, Jacqui Seal, together with a team of our staff. 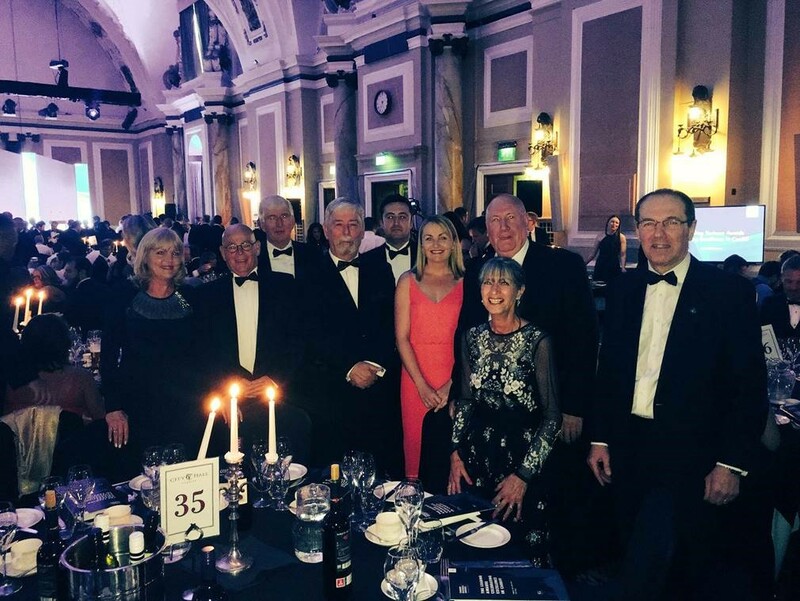 In 2018, our programme included on-going support for main charity, Y Bont school for children living with disabilities, who we partner with to support their events, conduct fundraising initiatives on their behalf and generally offer our support where we can. Developing a campaign to raise £3000 to donate to Huggard centre for the homeless. Exceeding our 2017 milestone by raising over £2000 on behalf of Will Aid charity when our private client solicitor team donated their time to provide Will drafting services to the public in exchange for donations to the charity. Donating time and support to the Recovery Cymru initiative. 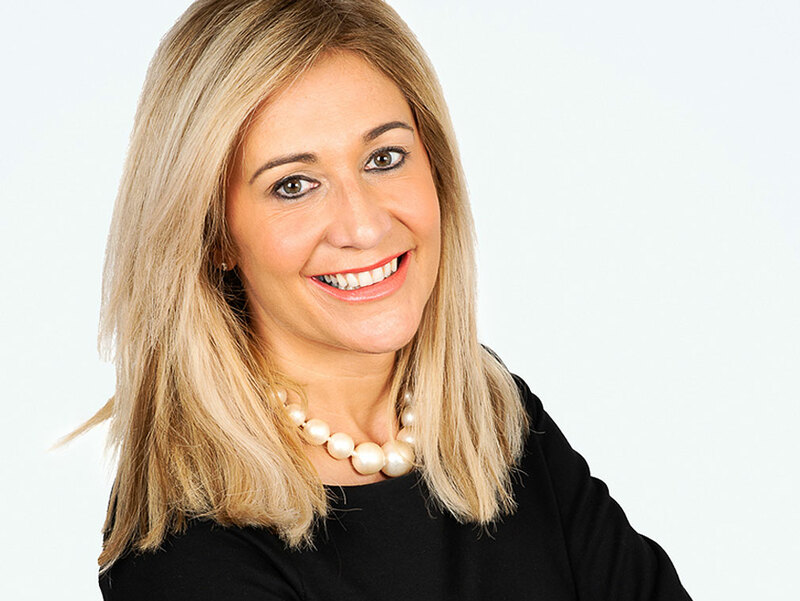 We also worked with family and lifestyle blogger, Cardiff Mummy Says, to provide legal insights and awareness for various family-related matters over the last year. We are proud to be representing this category of the awards, as the ethos of the CJCH legal practice is to always give back to the communities in which we provide services. That was the admission made by Charlotte Bardet about joining the landmark new graduate scheme launched in Cardiff. Charlotte, like many graduates, was keen to make the transition from university to professional life but was apprehensive about swapping academics for the office. With thousands of graduates facing this prospect every year a professional scheme which bridged the gap between study and work seemed like the ideal solution. 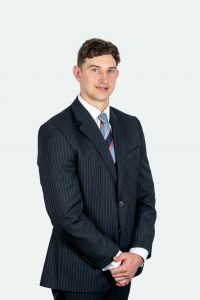 With that in mind chief of staff, Luke Heydenrych, worked with the senior partners of CJCH Solicitors and Consultancy to design and launch its innovative Graduate Development Program in February 2018, which aimed to expose candidates to essential commercial and business skills at an early stage in their career. Charlotte, who joined the specialist law firm and consultancy in 2016 as an anti-piracy research paralegal, was one of six young candidates who joined the scheme’s first intake this February. For Charlotte, her first few months in the bespoke program proved to be extremely surprising. She said: “It was really encouraging to see the amount of trust senior management put in us. On joining the firm, you might worry that you’ll simply play a supporting role, but at CJCH this was not the case. Charlotte, who previously interned with the United Nations, was assigned to a team developing an international course on illicit trade in collaboration with an international law enforcement training organisation. 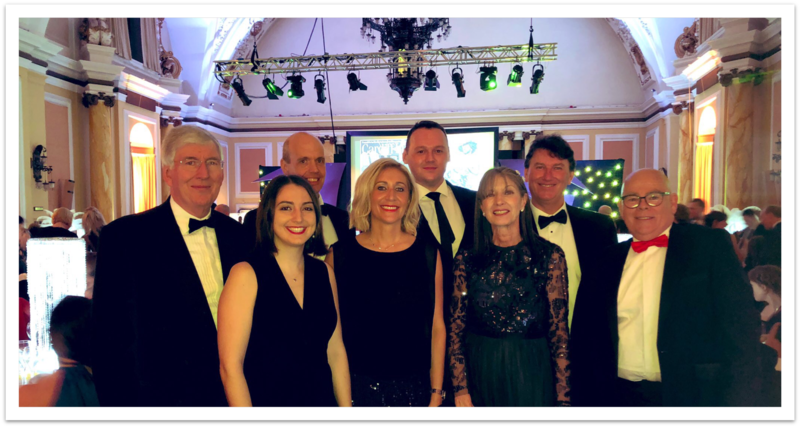 This forms part of CJCH Consulting’s fight against international software piracy, which was highlighted when the firm recently hosted digital crime experts from around the world as part of the IP Wales Cluster in Cardiff. The graduates’ research will now form an integral part of the firm’s strategy to prevent the illegal usage and theft of intellectual property in the future. She said: “To be working on a project that is so vital to the firm’s ongoing aims is really interesting. 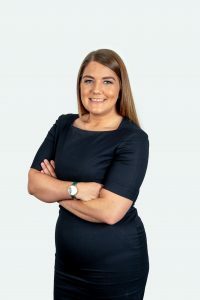 Thanks to her dedication to the project, Charlotte saw herself quickly promoted shortly after joining the graduate scheme, which offers a diverse approach to gaining both commercial and legal understanding of the profession. She said: “I was delighted to be promoted to research supervisor so quickly, where I supervised a team of about 28 researchers. 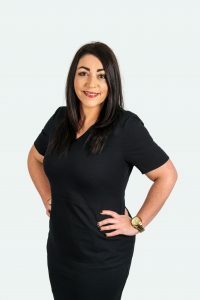 There was definitely a learning curve to the management side of the job, and the knowledge I acquired on the graduate program was extremely beneficial in settling into this new position. Following her promotion, she was quickly afforded even more exciting opportunities, which would see her use her skills on an international level. After the whirlwind start to her Graduate Development Program, she has now taken on a larger workload as continues to thrive in her role. She said: “My workload has obviously increased since I started, but it has all been really interesting. “I slowly took on more and more responsibilities, from training to quality checking, offering expert analysis and feedback to our client. The whole experience has been so informative and rewarding. “Before joining you really don’t know what to expect, but this has certainly exceeded any expectations I had. It’s been an invaluable experience so far and I would recommend it to any of my colleagues and anyone considering applying for a training contract. 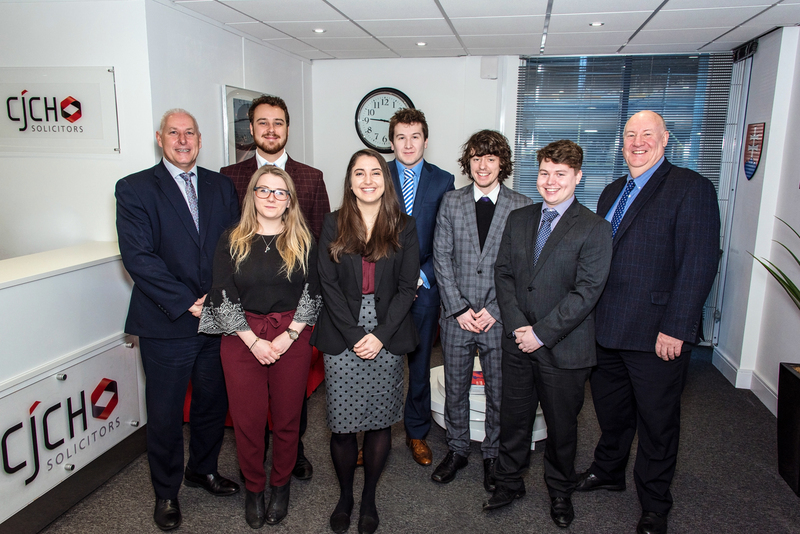 CJCH Solicitors’ Graduate Development Program is a 12-month initiative, the first instance of which concluded with the final training session this month. The Graduates now present to the executive board of CJCH to close off their training. The program offers graduates the opportunity to develop a wide-range of business and legal skills. The course sees candidates taught social entrepreneurship, innovation principles and practice, communication strategy, crisis management, leadership, and customer relationship management. This unique approach aims to develop well-rounded and innovative team members who will work throughout the firm’s legal, and non-legal, departments with the aim of undertaking leadership roles in the future.